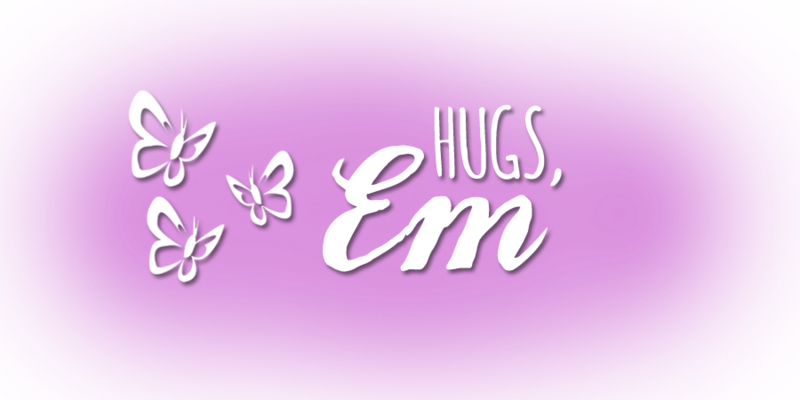 Labels: baby wipe technique, Bitty Butterfly, Elegant Butterfly, Feel Goods, Kinda Eclectic, Papillon Potpourri, Stampin' Up! This is beautiful, I do love the butterflies. 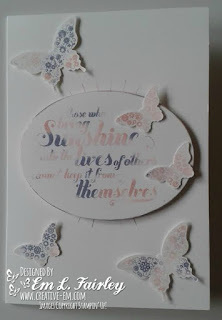 Another super baby wipe technique card you've done here - I think that it particularly lends itself to butterflies and I love the pastel shades you have used n this one. All four of my Wednesday class ladies have made one tonight - it's obviously proving very popular. Works just as well on this card too and of course I love the butterflies. hugs Mrs A.
Hi, Em, I'm back with my other hat today :-) just to say thank you for playing along with us at Crafty Gals Corner. Your art is always so stunning, Em. Thank you so much for stopping by to share your wonderful art in our challenge. It's always such a blessing to have you play along, and I really hope you will stop by again soon. I appreciate your participation more than simple words can express. Pretty card, Em! Fun technique! Thanks for sharing with us at Word Art Wednesday!